Our entire TEAM is ready to serve you! We now have 2 offices! Nick and Connie Chelenza, also known as "Team Chelenza," are ABC Certified Prosthetists and Orthotists and are Licensed to practice by the state of Oklahoma. They specialize in managing comprehensive prosthetic and orthotic patient care associated with acquired or congenital neuromusculoskeletal disorders and limb loss or deficiencies. We are constantly looking to implement new & upcoming techniques, materials, processes, & devices in our practice! We are excited to announce that Texoma O&P is the FIRST facility in Oklahoma to provide several devices/services including the Otto Bock C-Brace, the Otto Bock EMS socket, and Phits 3D printed custom foot orthotics. More recently, Texoma O&P is the FIRST facility in NORTH AMERICA to obtain and use a resin called ProtheFlex which hails from Slovenia! Check out our Facebook pages for details, videos, photos, and more! Maximize your quality of life with with state-of-the-art orthotic & prosthetic devices. 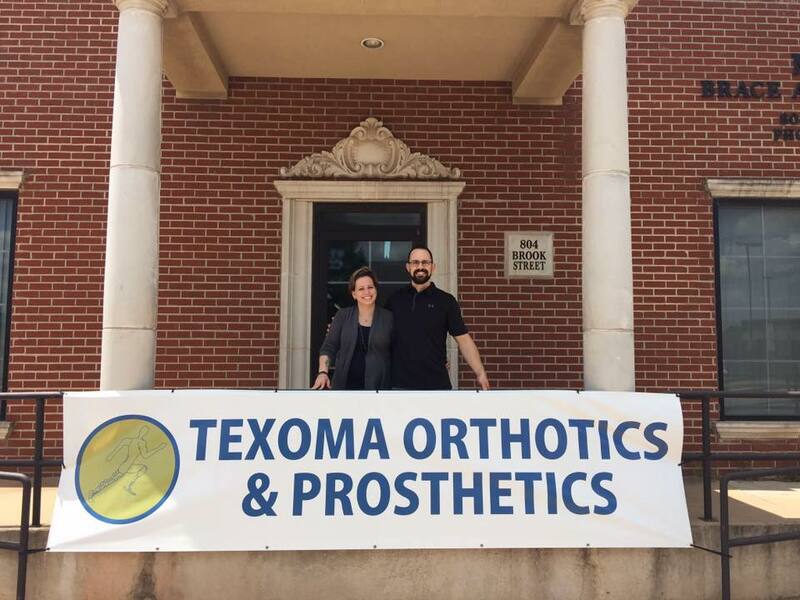 At Texoma Orthotics & Prosthetics, our dedicated team provides individualized care & educates the patients, caregivers, & involved medical professionals in all aspects regarding the services we provide!